For the month of January, cities all across California are participating in Restaurant Month and giving guests the chance to try some pretty special menus! Living in California for most of my life, my friends and I took Restaurant Month very seriously. We would create itineraries that would have us at different restaurants every night and scour restaurant websites waiting for their special menus to become live. We love food and we love checking out different restaurants, so this was the perfect excuse to get out and eat! What Exactly is California Restaurant Month? 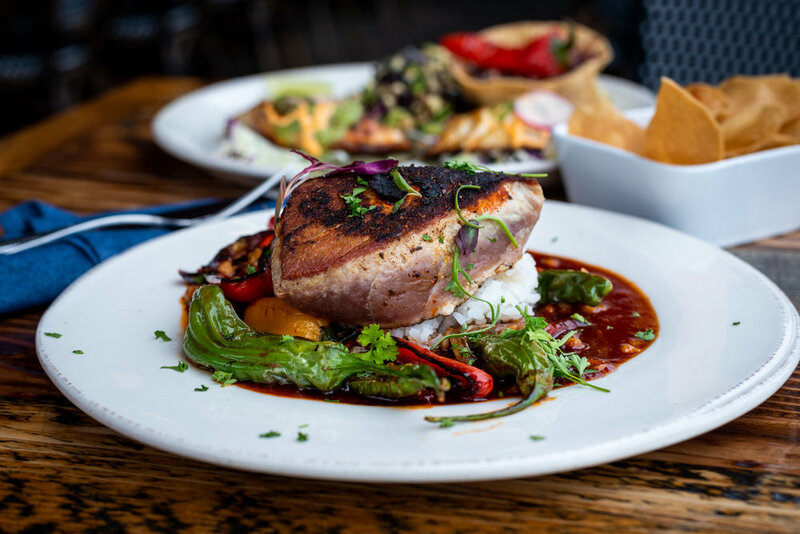 In a nutshell, Restaurant Month is when restaurants from all over California partake in an event, where they create a special menu with special prices (usually heavily discounted) and invite the public to come in and dine. It’s the perfect opportunity to try new restaurants, visit a few of your favorites and just get out and about to eat and drink! Now most cities in California only participate for a week and the dates always vary, so make sure to check out the Visit California website to get all dates and see what restaurants are participating. This year, Restaurant Month is taking place in January, so make sure to get your reservations in now! If you follow our Instagram profile, you know that we were recently in Southern California on a bit of a foodie road trip. We started in San Diego, headed to Temecula Wine Country and ended on the beach in Dana Point. We went to an embarrassing amount of restaurants and wineries and pretty much tasted and drank our way through the cities...yeah it was fun! Well we were to early for Restaurant Month, but we did find out that many of the places we visited are participating! So here are a few of our favorite Southern California restaurants to try! San Diego will be starting their restaurant week on January 20 and it will run through the 27. You can expect a lot of fabulous prix fixe menus and some new restaurants on the list. If you love Mexican food and great scenery, then Coasterra is a must! The restaurant is right on the harbor overlooking the San Diego skyline and the food here is incredibly fresh and delicious. 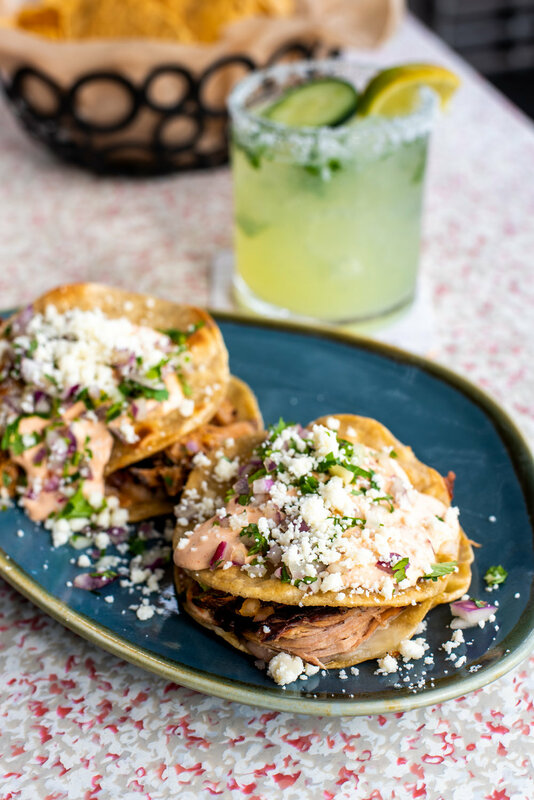 You’ll get all those familiar Mexican flavors but with a modern twist. And definitely make sure to order one or two of their specialty margaritas. They’re worth it and the PIna Malo is a personal favorite! I think this is my new favorite lunch spot in San Diego. The food is so healthy and creative, you’ll walk away feeling great and your tummy will be happy too! 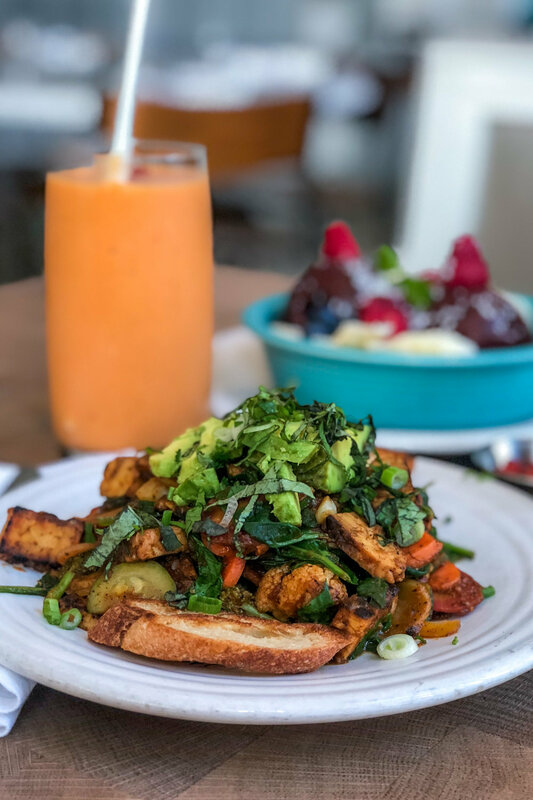 The restaurant is all plant based, and offers so many different options like an Indonesian grain bowl and buffalo cauliflower, which are both on the Restaurant Week menu! 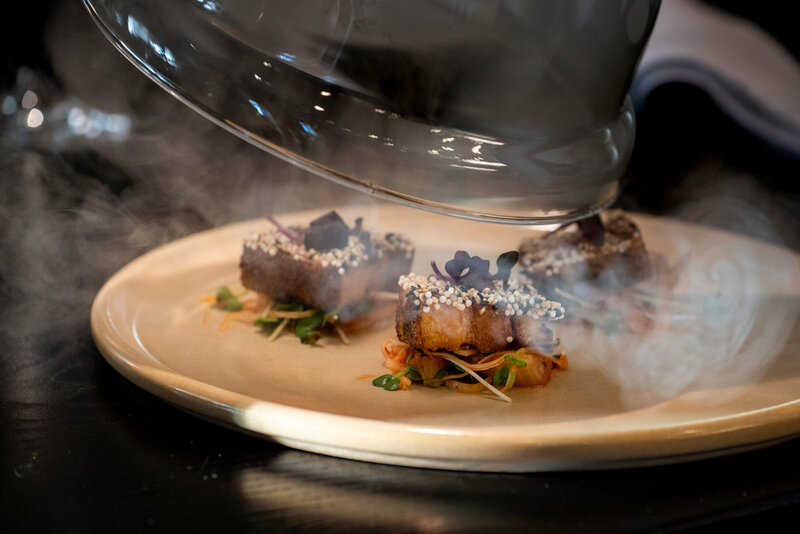 This is one of San Diego's newest fine dining restaurants and they are definitely making a splash! The restaurant is located inside the new Intercontinental Hotel and they are serving some great seafood options with beautiful presentations. Chris’s pick is the cider glazed pork chops and mine is the roasted Kabocha squash risotto! $40 for a 3 course dinner, you can’t beat that! For the entire month of January, Temecula is highlighting their restaurants and wineries with some pretty great options! This is the perfect excuse to take that weekend getaway with friends and wine and dine yourselves in wine country. For a restaurant that has those classic vibes and is a traditional steak place, I was so excited to see that their seared Mediterranean sea bass is a special! I highly recommend this restaurant if you’re looking for a special place to go with your family. Dana Point is right on the beach which is a perfect excuse to visit the town...Seriously, surfable waves, plenty of palm trees, incredible sunsets - what’s not to love! Also two of the yummiest restaurants we visited are participating in restaurant week, so that’s even more incentive to visit! The meat lover in me has a serious crush on this restaurant. 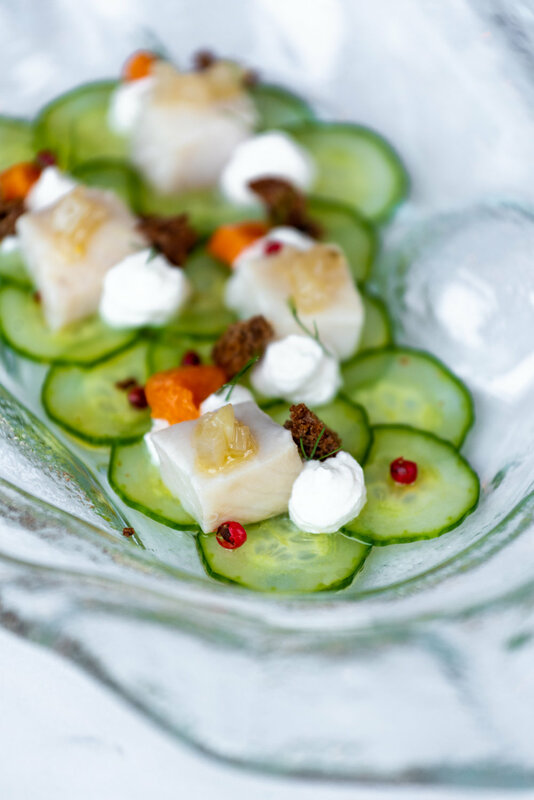 Their dishes are served with so much attention to detail, that you’ll be left wondering, how did they did do that! The portions are perfect size, so you won't feel too heavy after leaving and the options are the best cuts of meat you can find! Also they serve an array of different french fries and dips as you’re being seated, it’s wonderful! If you’re looking for a relaxed atmosphere and some seriously delicious fresh fish, Watermans Harbor is the place to be! They get fresh deliveries from local fisherman daily and they serve ups some seriously good fish tacos and ceviche! Grab a cold beer and you’re good to go!